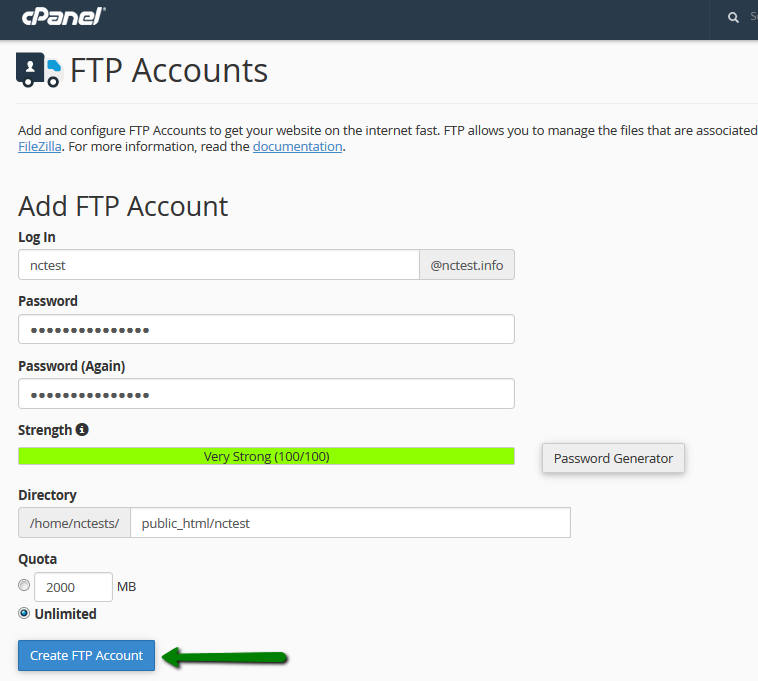 How to create FTP account? PLEASE NOTE: You can determine the level of access for a user. 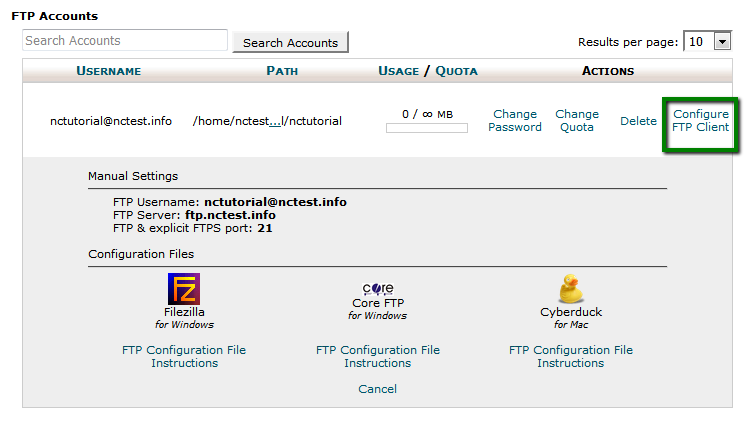 The FTP user will not be able to navigate outside of the specified directory. However, he/she will be able to access all files and subfolders inside that folder. 3. Open the configuration script file downloaded to your computer. 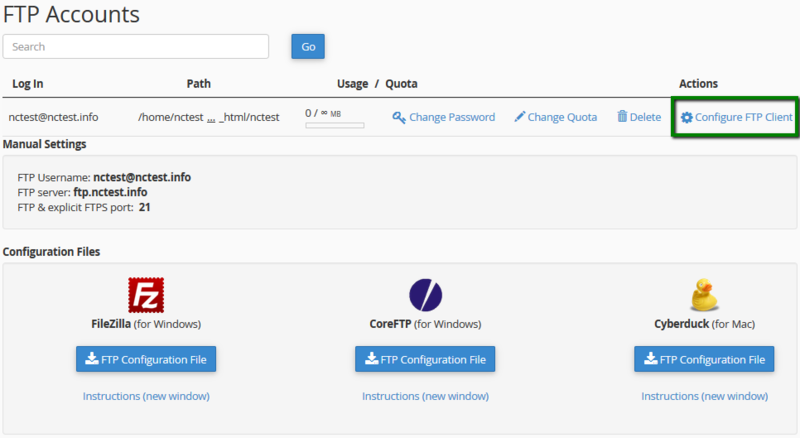 The FTP client automatically opens, configures itself and connects to your FTP server.